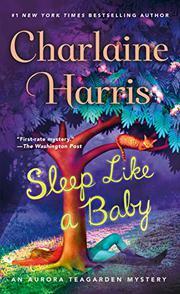 Librarian Aurora Teagarden copes with motherhood and murder. It’s all hands on deck as Roe comes down with the flu while caring for her new arrival, Sophie Abigail Crusoe. Her husband, Robin, is in Nashville at Bouchercon, where his latest mystery, Panel of Experts, is up for the prestigious Anthony Award. Her mom is away at a family reunion, and her teenage half brother, Phillip, although willing to pitch in, is still recovering from being kidnapped (All the Little Liars, 2016). So Roe hires Virginia Mitchell, who helped out right after Sophie’s birth, to stay overnight and shower mom and baby with a little extra TLC. At first, the baby minder is wonderful with Sophie, leaving Roe free to cope with her increasingly severe illness. But on the third morning, Roe awakens to the sound of her firstborn’s piteous wails and sees that Virginia is nowhere to be found. Instead, there’s an unknown corpse in the backyard with a terrible head wound. Robin rushes home; the police cordon off the crime scene, but as the investigation drags on, they make no progress in solving the murder or finding Virginia. Meanwhile, neighbors carp about the commotion, and friends begin to speculate that Roe and Robin may have had a hand in the grisly affair. Harris writes cozies to reckon with. But her world is surprisingly insular. Kids are often bullies or delinquents, Jewish neighbors whiny and demanding, African-Americans irresponsible or criminal. Can’t Harris, who endowed Sookie Stackhouse with a fantastic array of vampires, werewolves, shape-shifters, and fairies, spare some diversity for Lawrenceton?